An exile and a citizen of the world of poetry, as he calls himself, Mohsen Emadi deals with his experiences of mobility by writing poems on displacement. 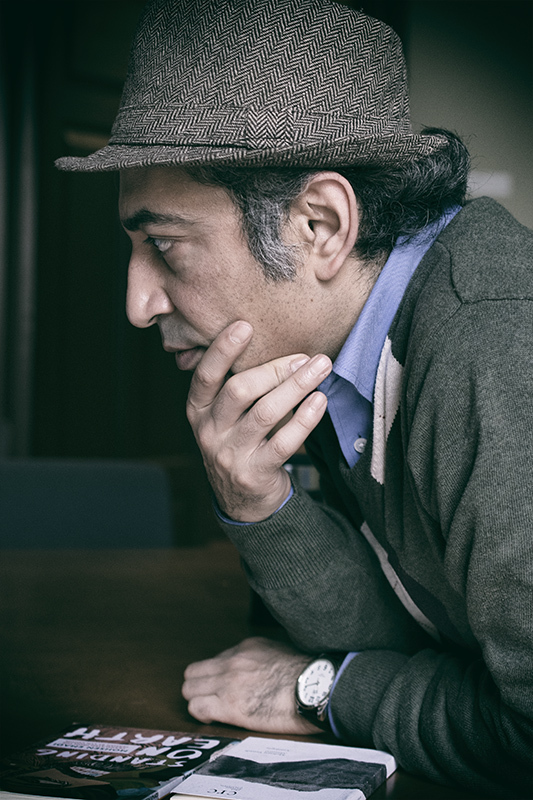 Born in a small village in northern Iran, Emadi became a cosmopolitan and an award-winning poet. Collections of his poems have been published in Iran and Spain. He also translates poetry. Young Mohsen was a popular poet, praised for his religious poems. He was winning student poetry competitions after attending literature festivals since he was twelve. Back then he was under the influence of classic Persian texts. Mohsen’s childhood was not easy. The war between Iran and Iraq (1980–1988) became the context for Emadi’s early life. After the religious fundamentalists took over, there was always the sense of instability and danger that eventually led to his exile. Mohsen Emadi soon started questioning the narrow-mindedness and intolerance of the religious poetry of elite of the country. Falling in love was another step on Mohsen’s route to exile. For him, it meant something positive: freedom from the demands of religious conservatism. 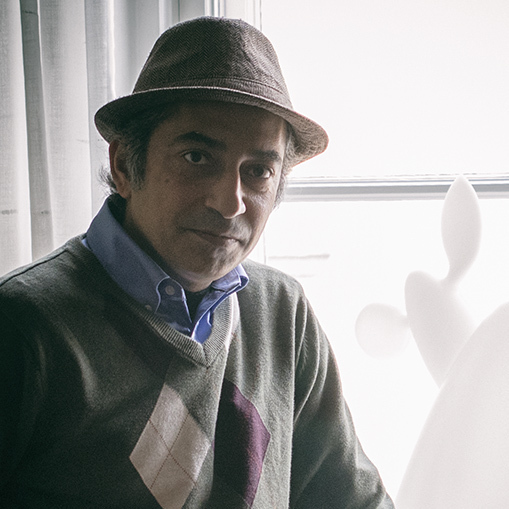 “I started to kind of autoexile from the Iranian literary community”, he tells. This self-driven exile opened up a new path for Emadi – that of the life of a true poet. Simultaneously, Mohsen studied computer engineering in the Sharif University of Technology situated in the capital city of Iran, Tehran. During that time, he took part in demonstrations against the government. Meanwhile, the political situation in the country intensified. The 2009 election was responded to with large protests in which president Ahmadinejad’s re-election was disputed. In the demonstrations, a thousand people were arrested and 20 were killed. It was impossible for Emadi to continue living in Iran after being openly against the new regulation. As a student, Emadi started gaining reputation also outside of Iran. His poetry was published in Spain. At that time, he lived a life characterized by voluntary mobility, as he commuted between Iran and Spain on a regular basis. Following the period of voluntary mobility, Mohsen Emadi’s life as a refugee, and no longer a wealthy cosmopolitan artist, started to resemble those of people who have had to flee from their native countries. He became a less privileged migrant. Life was not easy in exile, and sometimes Emadi had nothing to eat. Fortunately, his friends around Europe helped him. So, despite having had to endure difficult times, Emadi does not have any regrets about leaving Iran, and does not plan to go back. His country of origin is something he has left behind for good. Mohsen Emadi has lived in Finland, the Czech Republic, and Spain after leaving his country of birth. He is currently based in Mexico. Although Emadi was forced to leave his country of origin, exile does not mean identifying with the place that has been left. Instead, he identifies with the place from which the experiences of exile are narrated. Emadi entered Finland as a refugee. For him, then, it is not so much a question of exile from somewhere but exile as a present location or position from which current events are experienced and interpreted. In a sense, exile is for him an identity. Whereas nomadism means moving between two places, exile for Emadi is a fruitful position outside nation states. Living in exile, he likes to think that the land of poetry is his home. For Emadi, poetry is a way to deal with his experiences of exile and non-belonging. Emadi refuses to identify with any country. Yet, he is constantly asked, where would feel he belongs to. He has a utopian solution to this existential question. He identifies with exile, he “is from exile”.